I found a new blog and a book to look into. And they have a reading challenge to go with it. 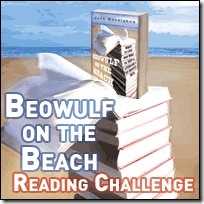 Click here or on the picture to see the details on the book and the challenge. I figure my reading of The Odyssey fits the challenge perfectly. I already have a few others on my 999 Challenge list for this year. Now I want to get a copy of this book too!